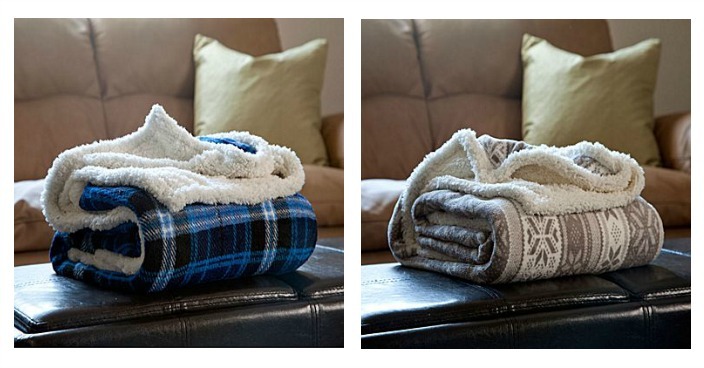 Lavish Home Fleece Sherpa Blanket Throw Just $9.99! Down From $35! You are here: Home / Great Deals / Lavish Home Fleece Sherpa Blanket Throw Just $9.99! Down From $35! Staples has this Lavish Home Fleece Sherpa Blanket Throw on sale for $9.99 (Reg. $35)! Lavish Home Fleece/sherpa throw blanket in green pattern is made of 100 percent polyester for durability.